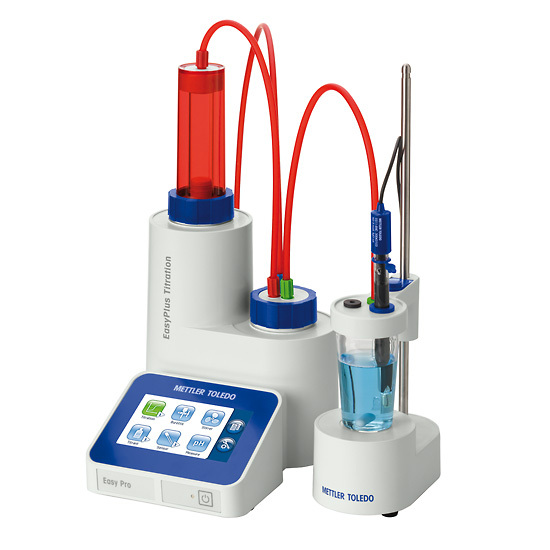 METTLER TOLEDO’s range of titrators feature One Click Titration™, a milestone in solutions for simple, efficient and secure titration. Benefits include modularity, flexible user management, intuitive user interface, personal home screen, automatic burette recognition and plug & play sensors. Thanks to the method concept and the colour touch screen, operation is easy. A single sample or an entire series of samples can be started with just one touch to the short-cut key. 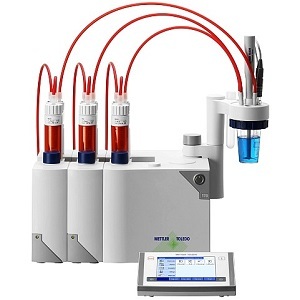 METTLER TOLEDO’s offers a complete range of autotitrators and accessories designed to integrate effortlessly in your sample workflow. 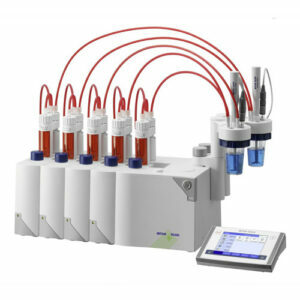 The InMotion autosampler was developed for increasing demand in automation and productivity, whilst maintaining Click user interface provides a simple and secure system enabling efficient parallel titration and , switch between up to 8 eight tasks running in parallel. 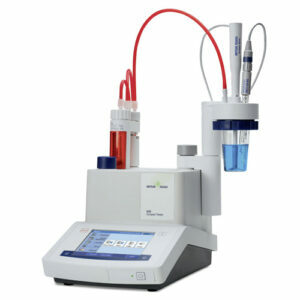 Karl Fischer titration is the specific standard method for the determination of water content and gives accurate and precise results within just a few minutes. 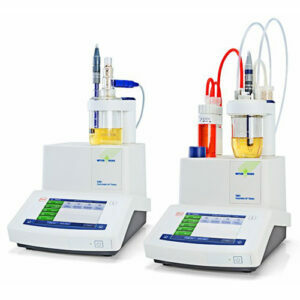 The volumetric (V) and coulometric (C) autotitrator product lines measure water content through potentiometric or coulometric titration from 1ppm to 100%. If you need to measure the sodium content in your food and beverage products, the Sodium Analyzer makes your analysis simple and fast. Reduce sample preparation using safe and cheap chemicals while specifically and exclusively measuring sodium ions. workflow flexibility. 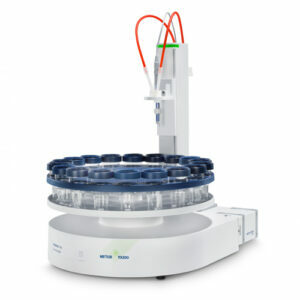 It is designed to maximize throughput in a minimal space, and is capable of analyzing over 300 samples.